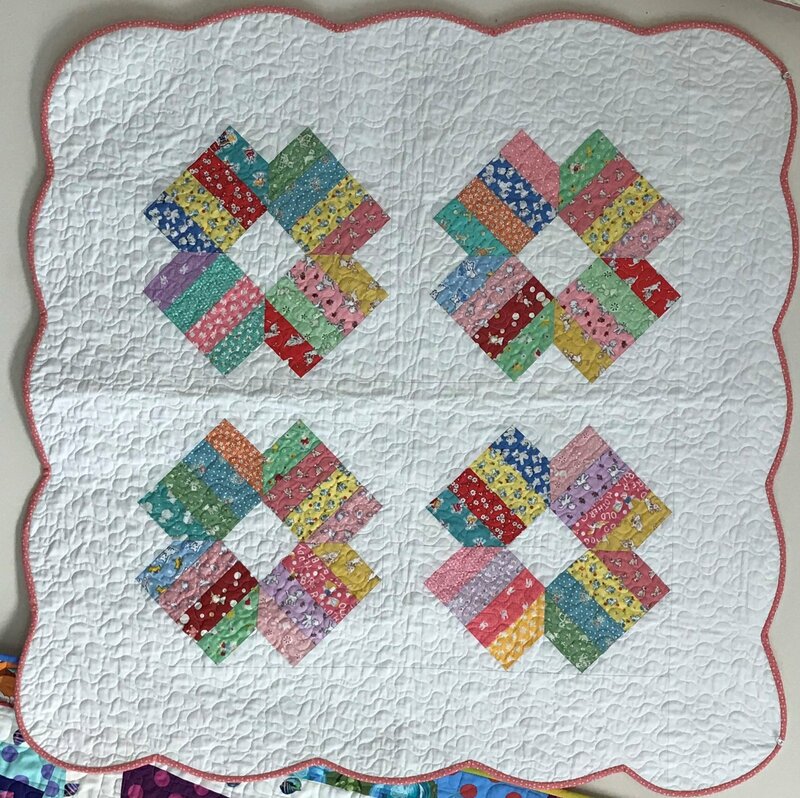 Blossom is a beautiful quilt! Any fabrics you choose will look great! This quilt was for my granddaughter so I scalloped the edges. However, we will be making the lap size quilt in class:). IF you wish to make the baby quilt, you may do so and I will help you scallop your borders.